The elephant, unable to realise its innate strength, meekly submits itself to the commands of the mahout, who works for a paltry sum of money. It gets up and sits down as the mahout bids as it is trained by him.. Similarly Bharathiyas today blindly follow the western culture, quite forgetting their own rich and sacred heritage and culture. The culture of Bharath is very sacred, strong, and ancient. It is eternal and a beacon light that has and continues to guide all the countries of the world. Then how can the Bharathiyas forget their own great culture? The culture of Bharath is such that it instills the philosophy where the mother and the father are to be respected like God.. It exhorts every child to follow the axiom of ‘Mathrudevo bhava’ and ‘Pithrudevo bhava’ (mother is God; father is God). It does not stop just at this level alone it also urges one to follow the truism of ‘Acharyadevo bhava’ and ‘Athithidevo bhava’ (Teacher is God and the guest is God). If you tend to ignore the words of your own mother, whom else will you revere and respect? As we go on talking for hours together, we tend to forget what we really intend to communicate. So many deviations and distortions creep into our speech. Today, the entire world is filled with negative feelings. Whoever you come across, and in whatever you see, negativity is widespread. All are reflections of your inner thoughts and feelings. Divinity is described in the Vedas as “Sahasra seersha purushaha sahasrakshah sahasra paad” (The Cosmic Being has thousands of heads, eyes and feet.). The significance of this statement is that one Divinity expresses itself through millions of individuals and therefore all are Divine. We tend to forget this great truth and consider each individual as separate from one another. The strife and conflicts between human beings started the moment humanity forgot its fundamental unity. It is time that this trend is reversed and the elemental unity among human beings is re-established. Along with unity, there should be purity. When unity and purity go together, there is Divinity. The combination of unity, purity and Divinity will result in the realisation of the Atma Tathwa (Atmic Principle). The Upanishads, especially the Taithreeyopanishad, dealt at length with this Atma Tathwa. The one who develops faith only in this Atma Tathwa will succeed in all his endeavours. The Atma Tathwa or Divine Consciousness permeates the entire Universe. Even a blade of grass cannot move without this Divine Consciousness. Everything in this Universe is the reflection of this Divine Consciousness. It is the same Atma Tathwa which dwells in all human beings irrespective of religion, caste, creed, and nationality. This is true even in the case of Avatars. The Avatars of Rama and Krishna may be different from each other by their names and forms; but the Atma Tathwa which resides within them is only one. They all lived in their human vestures till the completion of their Avataric mission, and once their task was completed, they disappeared. So, physical bodies are not permanent. In fact, nothing in this ephemeral world is permanent, not even the great Avatars. Atma is the only entity that is eternal. It is beyond birth and death. It is changeless. There is a beginning and an end for everything else in this universe, except the Atma. Hence, one has to develop firm faith in this Atma Tathwa. Unfortunately, we today tend to forget this true and eternal Atma Tathwa and develop faith in the ephemeral world. We weave a web of imagination around the pleasures that this transient world would offer. Ultimately, we land ourselves in sorrow and difficulties. The Atma Tathwa is the only entity that is true, eternal, and changeless. Everything else undergoes change from time to time. Even the human body passes through different stages like childhood, adolescence, youth and old age, but the individual remains the same through all these changes. Today, people adapt themselves to continuous changes in time, situations, and environment. People who change themselves thus are not a human beings in the real sense. Who then is a real human being? One who does not undergo a change; one whose faith in the Atma Tathwa (Self) is firm and steady. That is self-confidence. One who develops that self confidence can find a place for himself permanently in the history of the world. You all know about Abraham Lincoln, the past President of the United States of America. He was a perfect example of such self-confidence. He came from a very poor family and could not afford to have books or even decent clothes. He was so poor that he had to study under the streetlights. His mother used to support him with the meager amount of money she earned by mending old and wornout clothes. 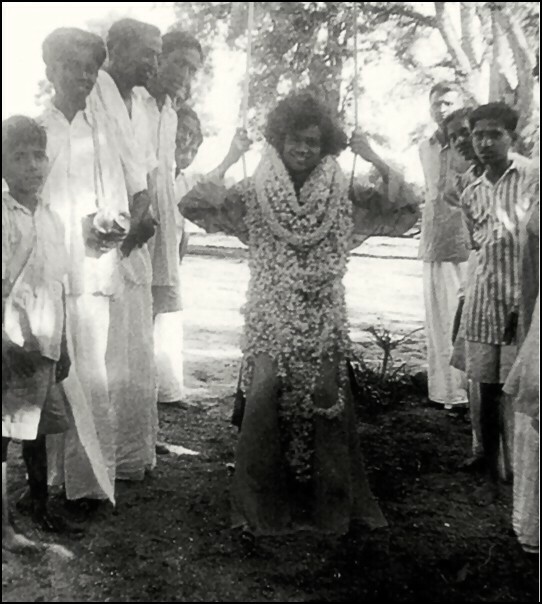 One day his classmates, who were rich and wearing fine suits, boots, and hats, heckled him, by saying that he did not deserve to walk along with them in his poor clothes and that he should walk on the footpath. He came home crying and poured out his agony to his mother, explaining how he was insulted and humiliated. These words made a lasting impression on the tender heart of Lincoln. He inculcated self-confidence and self-respect, with the constant support and encouragement of his mother. He even did some odd jobs and earned some money to support himself. The good name he earned for himself in society won him the respect and love of his fellowmen. In due course of time, his friends and well-wishers advised him to run for election. They assured him of their support and votes. On their advice, he participated as a candidate in the election and won. He became the President of America. Thus, Abraham Lincoln, the son of a poor artisan with very little money to pursue even his primary education, became the President of America by sheer hard work and the self-confidence which his mother encouraged him to develop all through his life. People cannot reach great heights without self-confidence. Not even the nine forms of devotion — sravanam (listening), kirtanam (singing), Vishnusmaranam (contemplating on Vishnu), Padasevanam (serving His Lotus Feet), vandanam (salutation), archanam (worship), dasyam (servitude), sneham (friendship), and Atmanivedanam (self-surrender) — can help. 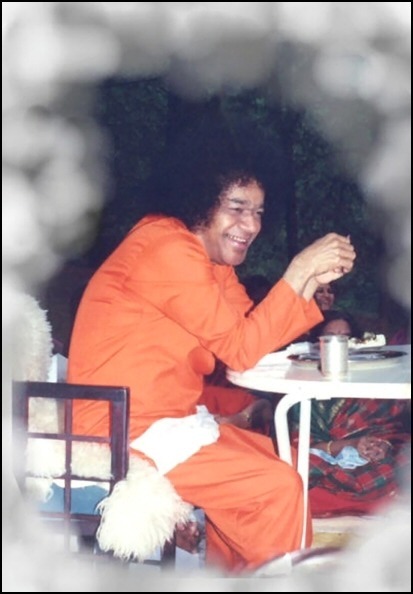 Any amount of sadhana (spiritual practices) without self-confidence will be of little use. Hence, I wish that all of you should develop self-confidence. Face your examinations with self-confidence. Without self-confidence, not even your friends can help. Do not forget to follow your mother’s advice, for, she is ‘Mathrudevo bhava’ (mother is God). She will always protect you, wherever you are. One who respects the commands of their mother and follows them sincerely will come up in life, as in the case of Abraham Lincoln. Unfortunately, people today do not give due respect and recognition to their mothers. There are people in high positions who do not hesitate even to put down their mothers in front of others . There have been instances when they do not hesitate to call their mother a servant when guests or colleague officers visit their houses and ask about the mother. This behaviour is totally against the Vedic injunctions, which urges everyone to treat the mother as God. In fact, the mother is living divinity. She is the first guru to a human being. She is the only person who selflessly works and wishes for the welfare of her children. Those who disregard the advice of their mother will never be successful in life. Even in foreign countries, people like Abraham Lincoln attained high positions by obeying the commands of their mothers and by developing self-confidence. We consider foreigners as great. But not all foreigners can be considered great. Only those who respect their mothers and follow their advice are great. If you ignore the advice of your mother, you are sure to face difficulties in life. Follow her advice wholeheartedly. Without a second thought, develop the quality of implicit obedience to the wishes of your mother. Only then only will your life be peaceful. The women of Bharath have earned great name and fame for the sterling quality of chastity. They are not to be treated lightly. Such noble women are always worth remembering and need to be emulated. Savithri could bring her deceased husband back to life, by the power of her chastity. The great woman Sita entered the fire to prove her chastity and came out unscathed. There were several more such examples in this country of Bharath, of women who have shone as guiding lights to the entire world. Bharath is a holy and sacred land. You are indeed fortunate to be born in this great land of Bharath! You must therefore sanctify your lives by following the rich and sacred culture of this country. Magnanimity and sacrifice flourished in this holy land of Bharath The spiritual outlook of Bharath is unparalleled. In fact, it is this spiritual outlook that has sustained this country through time and has taken it to great heights. People here are enjoying peace and bliss even today, while the whole world is passing through difficult times. It is for this reason that people from all other countries visit this country and find solace here. We have to sustain this rich legacy of spirituality. Whenever someone asks a student what he is doing, he replies that he is concentrating on his studies. But the real meaning of concentration is fixing one’s mind on a particular object. Contemplation is the next step. The final step is meditation. Thus, concentration, contemplation, and meditation are the three steps in sadhana. Meditation is not just sitting silent and closing one’s eyes. Maintaining an unwavering and steady mind is meditation. People think that concentration is a great exercise, but it is just the first step in sadhana, the others being contemplation and meditation. Concentration is like primary school education. Contemplation is high school education and meditation is college level education. Only after reaching the college level is one eligible to acquire a degree. All our ancient rishis reached this stage and meditated upon Divinity. When one reaches the stage of meditation, there is no scope for any wavering, and one’s faith in Divinity becomes steady. You have to attain that stage. You may study a number of books and pass your examination in the school or college. But, it is only one who reached the meditation stage that passes the test prescribed by God. Dear students! Do not be proud of your achievement in getting a first class or a rank. It is not the marks that count. See that you do not get remarks, which is the result of your losing self-confidence. Hence, develop self-confidence to become real successes in life. ( Or) Develop self confidence and become really successful in life. Constantly meditate upon a name and form of God that is to your liking. It does not matter which name and form you select for your namasmarana. All names and form belong to the one God. He is Atmaswarupa (Embodiment of divine Atma). God takes up different forms and is worshipped by various names. Only God can fulfill the desires of devotees. It is He who grants you powers and positions. Without Him, you cannot achieve any position. All are zeros only! With God’s grace, one can become a hero!